Green procurement demands a creative attitude and innovation oriented culture which is still missing in many organizations. It is noted that most of the procurement professionals lack essential soft skills which are more important than hard skills. Human resource managers need to develop appropriate teaching methodologies for procurement professionals to enhance the essential soft skills. The purpose of this study is to identify the essential set of soft skills required for green procurement practices. Interpretive structural modeling approach was applied to find the interrelationships. 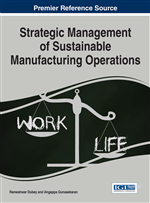 This study also provides deep insight to human resource managers and will be helpful in developing training programs for procurement professionals. The world class purchaser is an individual who visualizes and approaches his or her job from a strategic perspective in dealing with the supplier firm-purchaser and firm-customer linkage. This individual continually embraces and leverages his or her skills and knowledge of critical supply chain activities to provide value in meeting corporate and customer objectives. - Giunipero (2000). Green procurement consists of complex activities which necessitate procurement processionals to be equipped with hard and soft skills. Organizational approaches to green procurement range from strategic, organization-wide commitments, to small-scale single purchases. The range of approaches includes: strategic commitments such as green procurement policies; targets and public reporting of progress; supplier strategies and strategic supply chain management; green contracts and tenders; strategic assessment of procurement and priority spend areas highlighted; green procurement action teams and action plans; communications to support and promote green purchasing measurement and review mechanisms and specific projects or initiatives (Green Purchasing Australia report, 2009). Green procurement demands a creative attitude and innovation oriented culture which is still missing in many organizations. It is noted that most of the procurement professionals lack essential soft skills which are more important than hard skills. Human resource managers need to develop appropriate teaching methodologies for procurement professionals to enhance the essential soft skills. Though the concept of soft skills is of recent origin, it was Dale Carnegie who spearheaded its crucial significance in his 1936 book titled “How to win friends and influence people” and set the motion for soft skill training and development. Soft skills not only empower hard skills and create new opportunities, but also help to advance personal development and ethics in professionalism. According to Simpson (2006) the term “soft skill” has two origins- first originated from employers identifying the need for non-traditional skills which relate to the individual and how they interact with others. Owing to the changing nature of business and industry where soft skills play a dominant role and when unemployed people have to be inducted into employment, the target groups have to be identified with specific skills which are different from hard skills (Dash, 2001; Gorman, 2000). Soft skills development is intended to enable and enhance personal development, participation in learning and success in employment but there is little in the way of research or evidence on how well this assessment is done (Gibb 2014). According to Simpson (2006), soft skill is an ability or competence, either inherent or acquired which can be repeatedly performed. It is a skill which can be verified and assessed through its performance only and can be demonstrated, learnt, taught, trained or coached but acquired only by performing them and can be improved through reputation and practice. Moss and Tilly (2001) view soft skills “as skills, abilities and traits that pertain to personality, attitude and behaviour rather than to formal or technical knowledge”. Soft skills taught in the office technology soft skills course are by vast majority congruent with the soft skills employers require in today's entry-level office work (Ellis et al., 2014). There are few seminal papers on purchasing skill development available in the vast purchasing& supply management literature. Zheng et al. (2007) considers a broad and rather fragmented body of empirical evidence and analyses 42 relevant empirical studies on the future of purchasing and supply management. Study concluded that less strategic purchases can be automated or outsourced while more strategic task to be tackled by smaller number of professionals with highly developed broader skill sets. More emphasis to be given on teamwork in the skill sets for purchasing professionals. Tassabehji and Moorhouse (2008) explored the current status of purchasing professionals role and identify the skills they need to develop in order to effectively manage the dynamic situation; and presented a procurement skills effectiveness framework to enable managers to assess the likely sophistication level of procurement and its impact.